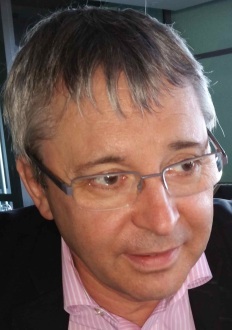 Jean Perriot, MD is a Pneumologist and Addictionologist at the University Hospital of Clermont-Ferrand and special lecturer in the School of Medecine and Pharmacy of the University d’Auvergne (France), teaching the mechanisms of tobacco addiction and the smoking cessation interventions. He is graduate in Immunology and Allergy medicine and has studied the mechanisms of tobacco addiction in the University of Paris XII – Descartes. He leads a Public Health department and he is a member of the Société de Pneumologie de Langue Française ; of the European Respiratory Society, the European Public Health Association, the Société Francophone de Tabacologie. 3) Medication treatments for tobacco dependence. 1) Underner M, Perriot J, Peiffer G. Meurice JC. The efficacy of Physical activity as and aid to smoking cessation. Rev Mal Respir 2015 ; Jun 5 (Epub ahead of print). 2) Underner M, Perriot J, Peiffer G. Smoking cessation in smokers with chronic obstructive pulmonary disease. Rev Mal Respir 2014 ; 31 : 937 – 60. 3) Merson F, Perriot J, Underner M, Peiffer G, Fieulaine N. Smoking cessation and social deprivation. Rev Mal Respir 2014 ; 31 : 916 – 36. 4) Perriot J, Underner M, Peiffer G, Le Houezec J, Samalin L, Schmitt A, de Chazeron I, Doly-Kuchcik L. Helping the Hard-core smokers. Rev Mal Respir 2012 ; 29 : 448 – 61. 5) de Chazeron I, Llorca PM, Chereau-Boudet I, Blanc O, Perriot J, Ouchchane L, Ulla M, Debilly B, Derost P, Durif F. Hypersexuality and pathological gambling in Parkinson’s diseanse : A cross-sectional case control study. Mov Disord 2011 ; 26 (11) :2127 – 30. 6) Perriot J, Chambonnet E, Eschallier A. Managing the adverse events of antitubercular agents. Rev Mal Respir 2011 ; 28 : 542 – 55. 7) Berlin I, Jacob N, Coudert M, Perriot J, Schultz L, Rodon N. Adjustment of nicotine replacement therapies according to saliva cotinine concentration : the ADONIS* trial – a randomized study in smokers with medical comorbidities. Addiction 2011 ; 106 : 833 – 43. 8) N’Guyen LT, Picard-Bernard V, Perriot J. Legionnaires disease in cannabis smokers. Chest 2010 ; 138 : 989 – 91. 9) Roux A, Motreff P, Perriot J, Lusson JR, Duale C, Morand D, Dubray C. Early improvement in peripherical vascular tone following smoking cessation using nicotine replacement therapy : aortic wave reflection analysis. Cardiology 2010 ; 117 : 37 – 43. 10) de Chazeron I, Llorca PM, Ughetto S, Coudore F, Boussiron D, Perriot J, Venditelli F, Sapin V, Lemery D. Occult maternal exposure to environnemental tobacco smoke exposure. Tob Control 2007 ; 16 : 64 – 5. 11) Perriot J. Provision of smoking cessation therapy. Rev Mal Respir 2006 ; 23 : 3S85 – 3S105. 12) Baranova H, Perriot J, Albuisson E, Ivaschenko T, Baranov VS, Malet P. Pecularities of GSTM1 0/0 geneotype in French heavy smokers with various types of chronic bronchitis. Hum Genet 1997 ; 99 : 822 – 6.